Product prices and availability are accurate as of 2019-04-10 10:50:56 EDT and are subject to change. Any price and availability information displayed on http://www.amazon.com/ at the time of purchase will apply to the purchase of this product. 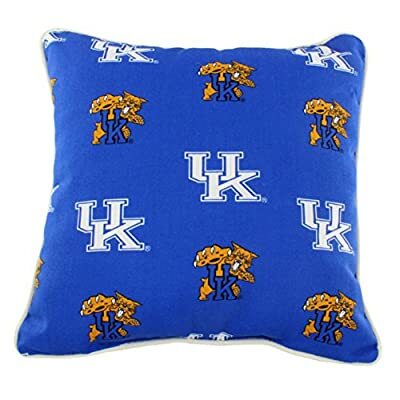 College Covers brand outdoor decorative pillow includes 1 - 16" X 16" pillow. Our outdoor decorative pillows are constructed with a high spun polyester fabric for a vibrant color that will shimmer in the outside sun. Piped edges really give the pillow a nice accent. 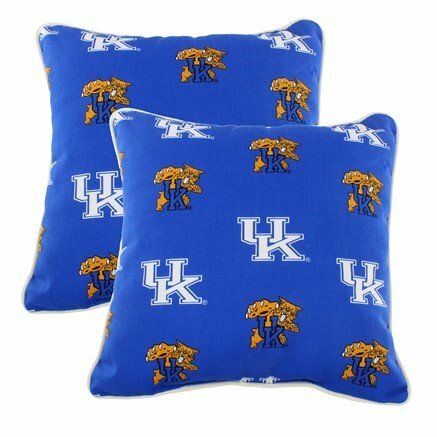 Pillows are printed with the same all over logo pattern to match College Covers brand cushions and other fine outdoor products. Pillows measure 16" X 16" and are a perfect addition to any patio furniture or living space. Store pillows out of the direct sunlight for longevity.